Boss Key Productions' previous game, Lawbreakers, failed to meet the studio's expectations after a troubling launch. Since then, Boss Key announced that it would step back from the game to work on new projects. 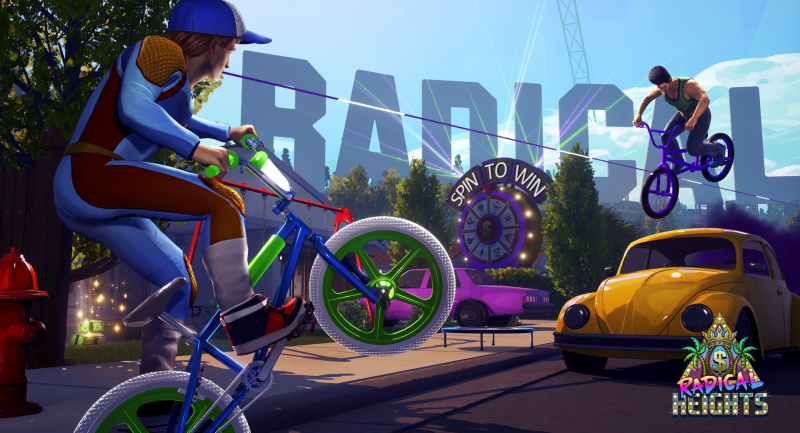 Today, the team has announced one of its upcoming games: Radical Heights. 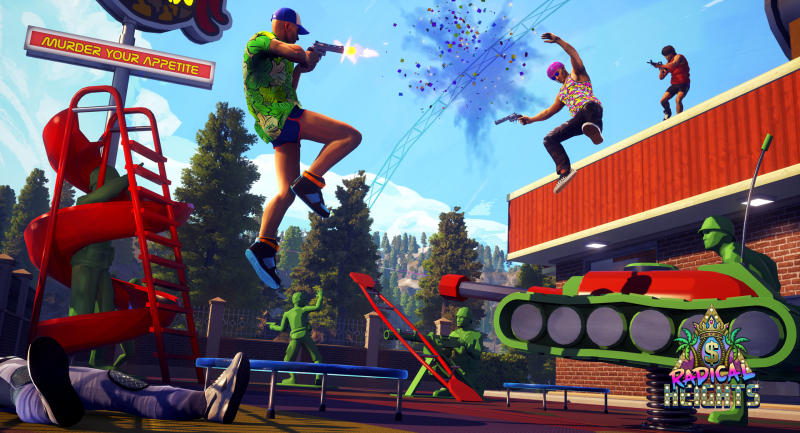 Taking place in the not-so-distant future of 2023, Radical Heights is a free-to-play battle royale shooter, fitting into the growing genre dominated by PUBG and Fortnite. 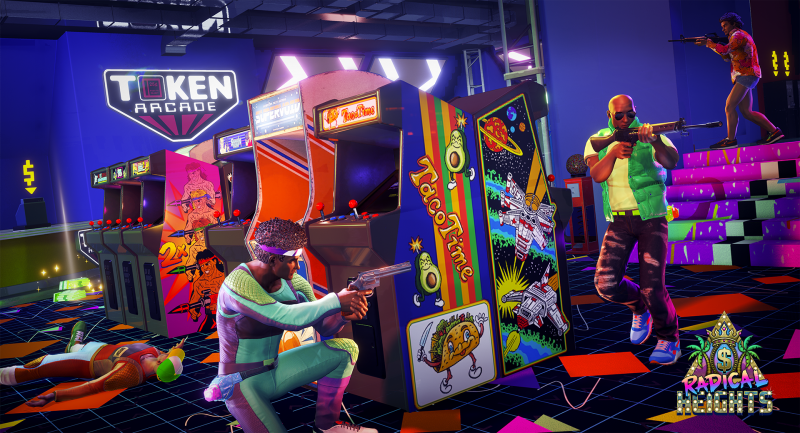 Radical Heights has a colorful and zany aesthetic with eye-popping, '80s styled visuals. It also comes with its own unique twist, where you search for prizes and cash that can be used to buy weapons or items. Rather than losing your earnings, you keep this cash with you from match to match. As you progress, you play through randomized "game show moments," where you spin a wheel, open a prize door, or just mow down another contestant so you can grab the cash yourself. The more cash you have, the more famous you become. Exactly what that means remains a mystery, but it could allude to some sort of in-game reputation meter. 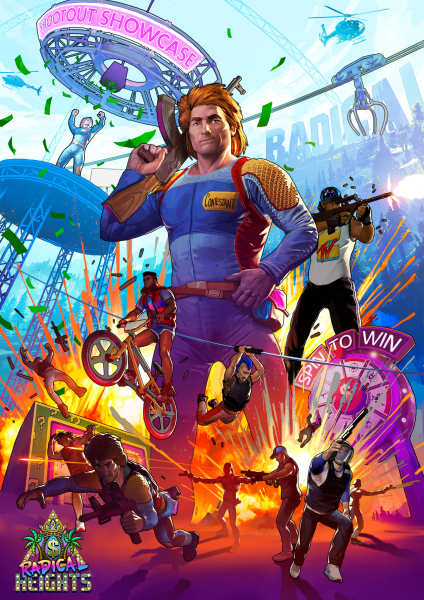 Many of Radical Heights' items are cosmetic, such as pink fishnet gloves and parachute pants. You can then add these to your prize room and customize them in whatever way you desire. 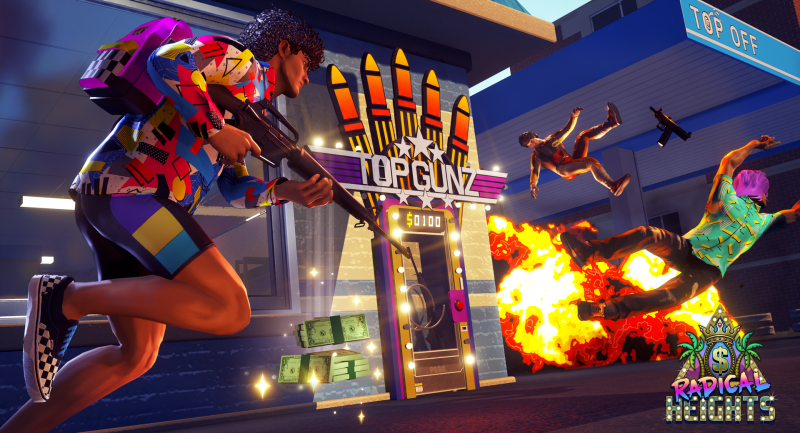 “This is a five month passion project for the studio as we’re creating and publishing the game entirely by ourselves,” Radical Heights Creative Director Zach Lowery says. 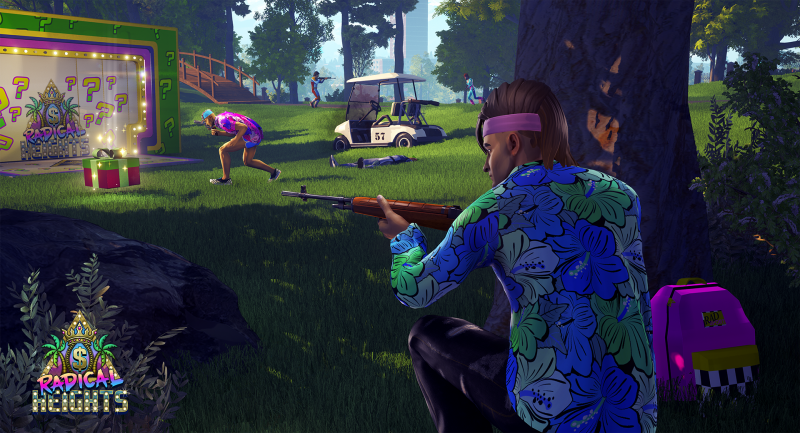 “We’re huge fans of Battle Royale games along with the bright, inviting irreverence of the 80’s aesthetic. Because of that, we want to put our own spin on the genre and create a futuristic 80’s world that takes place in 2023 during an over-the-top game show where contestants battle it out for fame and prizes." To give you an edge, you can use workout trampolines to jump high, cofetti bombs, inflatable decoys, remote explosives, and more. Oh, and you can ride a BMX ride to pull off some tricks, too. 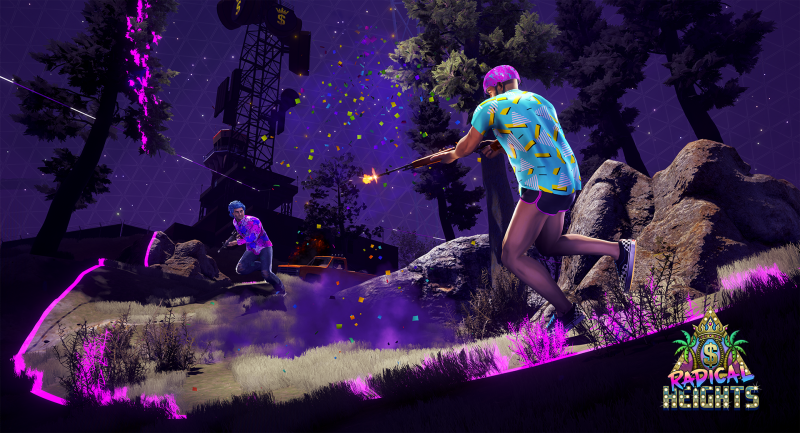 Radical Heights launches on Steam Early Access as of April 10. Although it's free-to-play, you can also buy a $14.99 package that includes exclusive items, bonuses, and more.